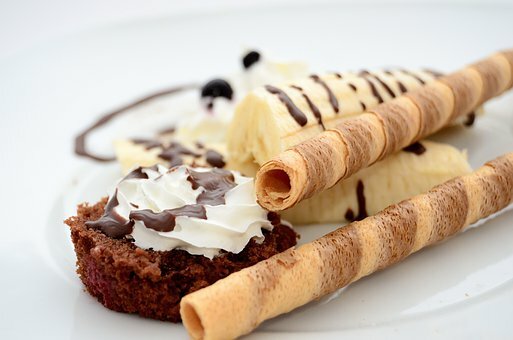 Whether you are a sweet tooth or not, you will crave a sweet treat once in a while. There’s nothing wrong with having sugar, as long as you know your limit. When the craving kicks in, forget that piece of cake, 3 scoops of ice cream or an entire bar of chocolate this time – try something fresh and unique! Make any of these fuss-free dessert recipes, you won’t regret it! With an electric hand mixer, beat together strawberry cake mix, egg, cream cheese and melted butter in a large bowl at medium speed. Spray a 9-inch baking dish lined with parchment paper with cooking spray then pour batter in it. Spread evenly using spatula. Arrange strawberry slices carefully on top of the batter. Allow to cool before slicing. In a medium bowl, beat the cream cheese using a hand mixer until it’s a smooth and creamy consistency. Mix in the sugar and continue beating until well integrated into the cream cheese. Transfer the mixture to a medium-sized serving dish and spread in an even layer. Pour the caramel sauce over the cream cheese and flatten with a spoon or a spatula. Sprinkle evenly with toffee bits. Serve with apple slices. Line with parchment paper a large baking sheet then spread evenly with 1 cup melted chocolate. Scatter the pretzel bits and press to the chocolate. Mix together the caramel bits with the water. Microwave for 2 minutes on high, stir then pour all over pretzel bits. Top with remaining melted chocolate and sprinkle with sea salt. Cover and refrigerate until hardened. When ready, tear into pieces before serving. Creating delicious sweet treats does not have to be complicated – try these fuss-free dessert recipes now!